Synonym name: Origanum syriaca L.
Majorana, Greek,amarakos, ἀμαράκος; Latin, amaracum; the origin of the name is not known, it is possible that it derived from the Sanskrit maruva, मरुव. Origanum, Latin origanus, origanum, Greek. oreiganon, oros, "mountain"; ganos, "joy"; joy of the mountain. Hyssop; the name hyssop can be traced back almost unchanged through the Greek hyssopus and Hebrew ezov, meaning "holy herb". Because common Hyssop (Hyssop officinalis) is not native to the Mediterranean area, much debate has ensued over which plant was referred to as Hyssop. The standard author abbreviation Kostel is used to indicate Vincenz Franz Kosteletzky (1801 - 1887), a Bohemian botanist. 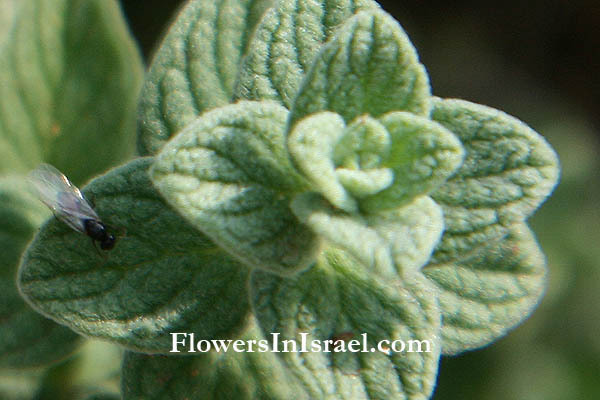 Origanum syriacum is thought to be the true Hyssop of the Bible. Hyssop was used to cleanse the temples and other sacred places of the Egyptians. It is mentioned numerous times in the Scriptures. 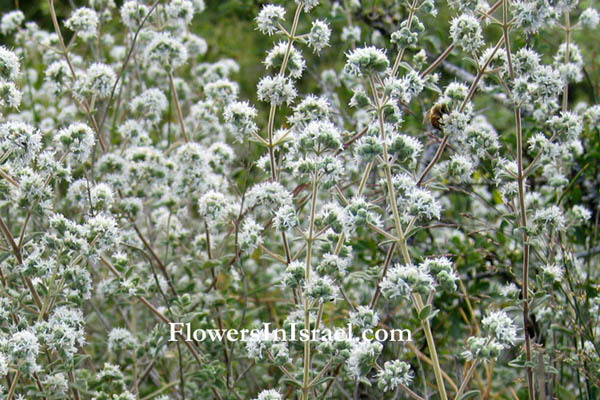 While pride is symbolized by the majestic cedar of Lebanon in Jewish tradition, the lowly hyssop represents modesty and humility. In religious painting Hyssop is used as a symbol of humility. This symbolism of the hyssop versus the cedar gives to understand the plea of King David in Psalms 51:9: “Cleanse me with hyssop that I may be pure; wash me that I may become whiter than snow”. Hyssop is known for its ability to purify the blood, which in Psalm 51:9 had symbolic, as well as medicinal significance. 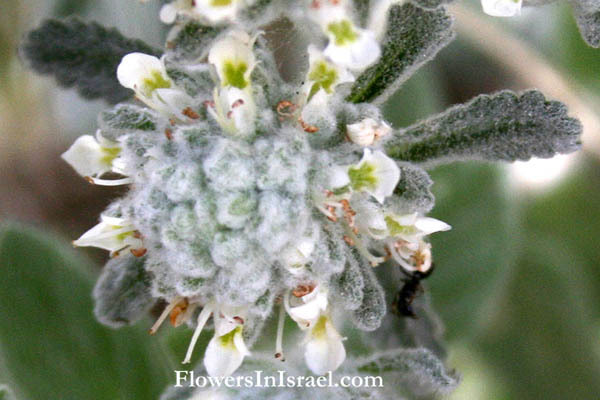 Hyssop as we know it may or may not be the hyssop mentioned by King David. In the New Testament, a sponge soaked in sour wine or vinegar was stuck on a branch of hyssop and offered to Jesus of Nazareth on the cross (John 19:29), showing that the cross was not as high as sometimes portrayed (Hyssop is up to 60 cm long). Hyssop-Oregano was often gathered in bunches and used as a brush or sprinkler for purification rituals. In the Middle East nowadays hyssop is a popular mixture of spices and marketed as zatar (Hebrew: זתר, Arabic: زَعْتَر) or za'atar seasoning. 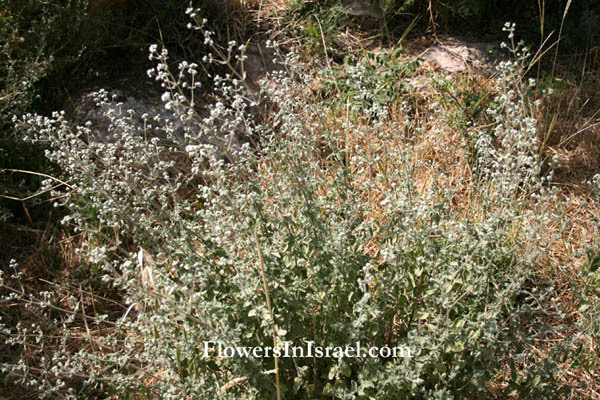 In Israel za' atar is a protected plant and due to over-exploitation there are large fines for picking za' atar. There is a wide variety of mixtures but all contain (toasted) white sesame seeds, ground sumac, wild oregano (Origanum syriacum, formerly Majorana syriaca.) and salt. It is used on meats and vegetables, and is also mixed with olive oil to make a spread or dip. It has an excellent flavor. All marjorams are oreganos, but not all oreganos are marjorams. He shall purify the house with the bird’s blood, the fresh water, the live bird, the cedar wood, the hyssop and the scarlet yarn. Then a man who is ceremonially clean is to take some hyssop, dip it in the water and sprinkle the tent and all the furnishings and the people who were there. He must also sprinkle anyone who has touched a human bone or a grave or anyone who has been killed or anyone who has died a natural death.